Use this guide to match your NI Digital I/O (DIO) 65xx Models PCI, PCI Express (PCIe), PXI, or PXI Express (PXIe), or USB DAQ product with a compatible cable and accessory to meet the needs of your application, replacing or expanding your current configuration, or verifying that existing parts can be used in a different configuration. NI Digital I/O (DIO) 65xx Models allow for digital input and output through a variety of connectivity options. Note: This guide is for standard Digital I/O NI 650x, 651x, and 652x models listed below. Other NI 65xx Digital Instruments models are covered in a separate guide. Find your module or device in hadrethe Device List. Note: This guide does not cover USB-65xx DAQ OEM models, refer to your 65xx OEM User Guide for wiring and connection considerations. Identify your 50-pin IDC device, then click to jump to the compatibility table. Identify your 100-pin SCSI 0.050 D-Type device, then click to jump to the compatibility table. Note: USB Digital I/O 65xx devices connect to your PC through a Hi-Speed USB 2.0 cable with USB Type A and Type B connectors on opposite ends. 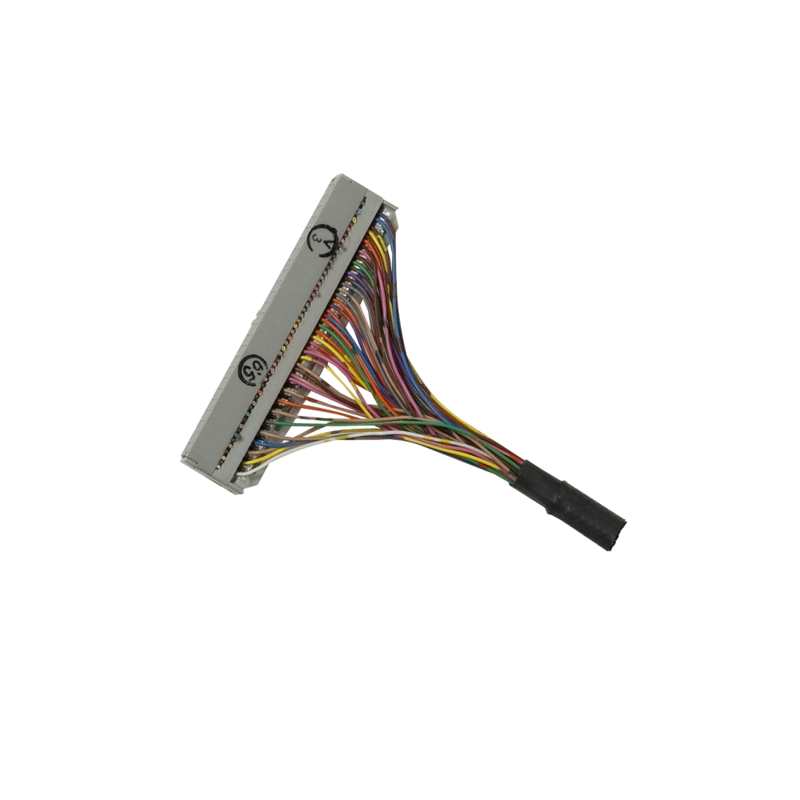 This cable is included in the original shipping kit of your USB Digital I/O 65xx device. USB-6501 N/A Screw Terminal model. USB-6525 N/A Screw Terminal model. Use this table to identify compatible IDC cables and accessories. 1SCB-100A is a newer design recommended for all new applications over the SCB-100. 2The CB-100 Series kit consists of one R1005050 cable and two CB-50 connector blocks. Use this table to identify compatible DSUB cables and accessories. 1TB-2621 can only be attached directly to PXI modules front connector, and does not require a cable. Use this table to identify connectivity options for screw terminal devices. USB-6501/6525 Screw Terminal Model Connectivity Use shielded or unshielded wires to connect directly to your USB device's screw terminal connectors. Refer to the specifications document for your device for the screw terminal wire gauge specification. USB-6501/6525 screw terminal devices feature screw terminal connectivity directly on the device, and do not require an accessory for interfacing signals. This section is important to review because not every cable and accessory combination allows access to the full functionality of your NI DAQ Digital I/O 65xx (formerly DIO) device or module. This list contains notes about known limitations when using certain combinations of DAQ cables and accessories. If your device or cable is not listed in this section, there are no known exceptions for it. PCI-DIO-96 To enable connection on all lines of the device/module with the R1005050 cable, you must connect to two 50-pin connector blocks. The CB-100 kit contains two CB-50 connector blocks and a R1005050 cable. PCI-DIO-96 Refer to the PCI-DIO-96/PXI-6508/PCI-6503 User Manual for more information about Custom Cabling. PCI/PXI-6521 The NI 6521 must be used with special keyed cables and accessories. Insulation Displacement Connector (IDC) - Also known as insulation-piercing contact (IPC). A type of cable connector that allows multiple conductor connections to a connector without soldering. Click here for an example. When purchasing an NI DAQ Digital I/O 65xx Model (formerly DIO) device or module, for ease of use, the cables and accessories are listed on the product selection page. To begin browsing NI DAQ devices and modules, visit ni.com/daq.